We can create any event in our facebook page easily. 1. Login to facebook using your username/password. 2. Click Events in the left menu of your homepage. 3. Click Create in the top right. 4. 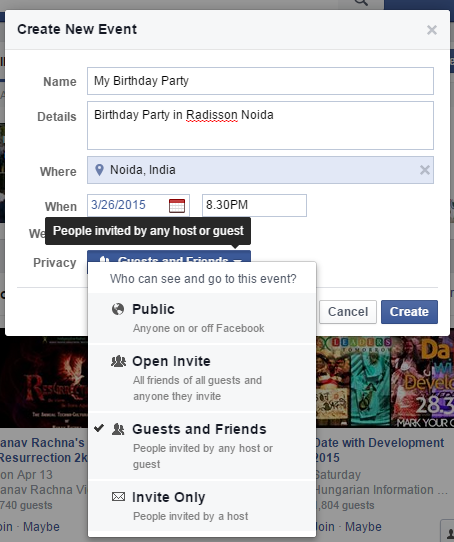 Fill in the event name, details, location and time, and choose your privacy settings. Keep in mind that you must include an event name and time. 6. Click Create to complete the event creation.